Cardiovascular disease is the leading cause of death in the United States. February has been designated as National Healthy Heart Month to bring attention to the epidemic proportions of cardiovascular disease in America. This includes heart attacks and strokes with heart attacks being number one. The Association of NJ Chiropractors (ANJC), which represents over 2000 chiropractors statewide, is using this month as an opportunity to educate both current and prospective patients on the avoidable risk factors to prevent heart disease, and how chiropractic adjustments have been proven as an effective means to lower blood pressure. It is a common experience in chiropractic offices to experience patients having their blood pressure medication change after receiving treatment for an unrelated neuromuscular skeletal condition, such as headache, neck or back pain. The relationship of the spine to blood pressure is a neurologic and anatomical relationship and not based on theory or any philosophical constraint. There are five factors that determine blood pressure. 5. The volume of your blood. The first three factors – how hard your heart beats, how fast it beats and the diameter of the blood vessels are all muscular functions. The muscles of the heart, as well as the muscles in the blood vessels, specifically arteries, are controlled by nerves which come from the spine at one level or another. “Therefore, maintaining spinal balance with chiropractic adjustments to keep normal nerve flow to the heart and to the arteries, will have a direct reflection on blood pressure, allowing it to normalize, whether it is high or low,” observed Dr. D’Angiolillo. The volume of blood and the thickness of blood are more complicated mechanisms and although they are affected by nerve impulses from the spinal cord and spinal nerves, the relationship is more indirect. Therefore, it can be seen how taking chiropractic adjustments can affect blood pressure. The relationship is a direct relationship between the nerves of the spine as they travel their way to the muscles that control the speed and strength of heart contractions, as well as the diameter of the blood vessels. According to lead author George Bakris, MD, director of the hypertension center at the University of Chicago Medical Center, unlike other vertebrae, which interlock one to the next, the Atlas (also known as C-1) relies solely upon soft tissue (muscles and ligaments) to maintain alignment; therefore, is uniquely vulnerable to displacement. Displacement of C-1 can occur without pain and thus, often goes undetected and untreated. Eight weeks after undergoing the procedure, 25 patients with early-stage high blood pressure had significantly lower blood pressure than 25 similar patients who underwent a sham chiropractic adjustment. Those who got the real procedure saw an average 14 mm Hg greater drop in systolic blood pressure (the top number in a blood pressure count), and an average 8 mm Hg greater drop in diastolic blood pressure (the bottom blood pressure number). Because patients can’t feel the technique, they were unable to tell which group they were in. None of the patients took blood pressure medicine during the eight-week study. 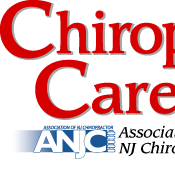 To find an ANJC member chiropractor in New Jersey, visit: www.njchiropractors.com. Posted: April 6th, 2012 under Chiropractic Care.